Sorting & Separation Equipment - Remcon Equipment, Inc. - Remcon Equipment, Inc. Rotating Drum Trommel Screens work well for sizing and separating any mix of materials. 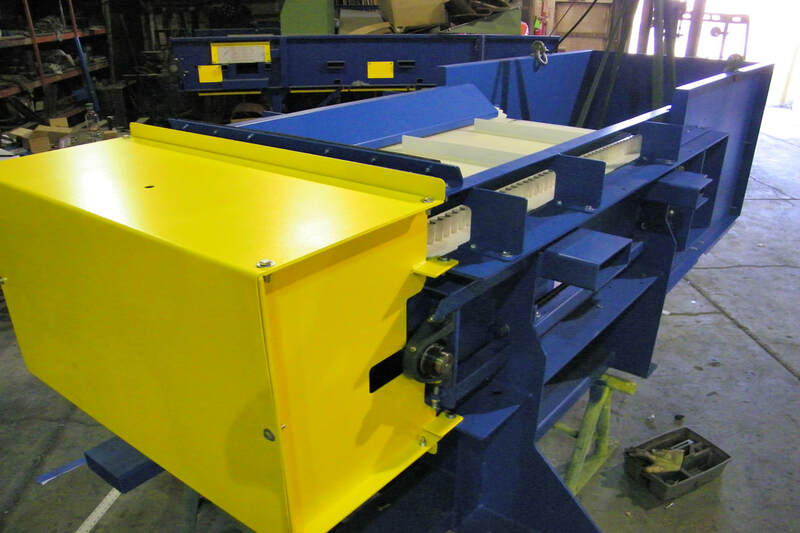 A variety of screen opening sizes are available, and multiple sizes can be installed on the same trommel drum for graduated sizing and separating. Eddy Current Separators utilize rare earth magnets, specially arranged inside the conveyor head pulley, to remove both aluminum and ferrous materials from commingled recyclables. Aluminum is repelled into a chute ahead of the pulley, ferrous is attracted back to a chute behind the pulley, and other materials are dropped straight down into a third chute. Overhead Magnetic Separators utilize specially arranged magnets, suspended over a conveyor belt to remove ferrous materials from commingled recyclables. Once removed, the ferrous debris is conveyed away from the magnetic field to the desired location. Magnetic Separators can be built with either permanent magnets or electromagnets. Contact us today to discuss adding a Magnetic Head Pulley to a new or existing conveyor.